Las Vegas shooting victim Thomas Gunderson is recuperating in a local hospital after being shot in the lower leg by Stephen Paddock. Gunderson described the horror and how two young women, total strangers, pulled him to safety after he had been shot and was unable to walk (first video, below). 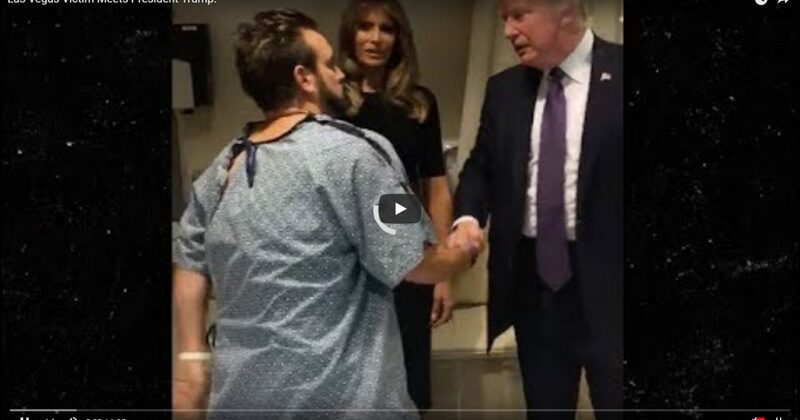 With a fresh bullet wound in his calf, Gunderson was not about to lie down when First Lady Melania Trump walked into the room to say hello and offer her best wishes (second video), followed a moment later by President Trump who likewise offered his best wishes for a speedy recovery.